That agreement between President Obama and Chinese President Xi Jinping in September 2015 has been violated by continued Chinese efforts to steal American technology and other intellectual property through cyber espionage. Rob Joyce, a senior adviser for cybersecurity at the National Security Agency told a conference in San Francisco in November that China has violated the pledge made by Xi to halt cyber economic spying. "It's clear that they are well beyond the bounds today of the agreement," Joyce said. "We have certainly seen their behavior erode in the last year and we’re very concerned with those troubling trends." Jain did not return emails seeking comment on the lobbying. The Obama administration adopted conciliatory policies toward China's aggressive cyber espionage and technology theft. For example, after Chinese hackers stole 22 million records from the Office of Personnel Management, including highly sensitive records of Americans who hold security clearances, the administration would not identify China's spies as the culprit. White House National Security Adviser John Bolton identified China as the actor that conducted the OPM cyber attack in announcing a new strategy against cyber espionage in September. It was the first time a senior U.S. official had publicly named the Chinese for the OPM hack. "You may recall the hacking of the Office of Personnel Management by China, where potentially millions of personnel records—my own included, and maybe some of yours, from former government employees—has now found a new residence in Beijing," Bolton said. "That's the kind of threat to privacy from hostile foreign actors that we're determined to deter." Intelligence officials believe China is using the records stolen from the OPM for both human spying and cyber espionage operations. The hiring of Jain to lobby for Huawei appears to be part of a major propaganda and influence campaign by the Chinese government to counter the U.S. government crackdown on Huawei. In January, former Sen. Joseph Lieberman (D., Conn.) registered as a lobbyist for another Chinese state-linked telecommunications company, ZTE. In December, the Canadian government arrested Huawei CFO Meng Wanzhou at the request of the United States. A month later federal grand juries in New York and Washington state indicted Huawei for stealing U.S. telecommunications secrets and for illegally doing business with Iran. FBI Director Christopher Wray has warned that Chinese companies like Huawei are required by Beijing to provide access to all its telecommunications products for Chinese intelligence and security agencies. "Companies like Huawei pose a dual threat to both our economic and national security, and the magnitude of these charges makes clear just how seriously the FBI takes this threat," Wray said when the indictment of the company was announced. "Today should serve as a warning that we will not tolerate businesses that violate our laws, obstruct justice, or jeopardize national and economic well-being." Huawei has been linked by American intelligence agencies to both the Chinese military and intelligence agencies. The company also was designated a "national champion" by the ruling Communist Party of China, making it a key player in China's drive to dominate high-technology markets around the world. The FBI stated in a security seminar for corporate security officials last year that both Huawei and another company, ZTE, appear to be private companies but are reliant on the Chinese government for both resources and funding. Also, the FBI stated that Huawei and ZTE are involved in economic espionage for Beijing. The companies are used to advance national objectives such as assisting Chinese intelligence and security services in massive domestic electronic surveillance programs targeting Chinese citizens. The companies also are part of foreign influence operations aimed at reducing foreign resistance to China's drive for global supremacy. 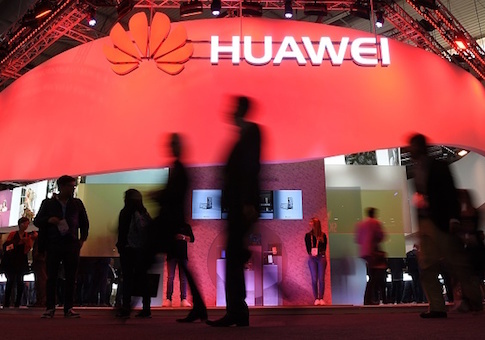 The Center for Responsive Politics reported earlier this month that Huawei is engaged in a large-scale program to reshape the company's image through legal action, lobbying, and public relations. Huawei hired two public relations firms, Racepoint Global and Burson Cohn and Wolfe, to conduct an influence campaign. The operation was outlined in filings under the Foreign Agents Registration Act. The center estimates the lobbying campaign involves over a million dollars. One indicator of the campaign was a March 21 opinion article by Huawei published in USA Today that sought to deny U.S. charges the company is controlled by the Chinese government and therefore should be permitted to bid on the emerging 5G telecommunications networks. Huawei sued the U.S. government on March 7, claiming U.S. government restrictions on the use of Huawei products are unlawful. This entry was posted in National Security and tagged China, Cyber Security, Obama Administration. Bookmark the permalink.